Mattel Answers Questions about their Toy Story 3 toyline! Pixar Collector had a chance to sit down with Jessica McConnell, The Associate Marketing Manger for Toy Story Mattel. We asked her a few questions that are on the minds of fans and collectors. We also got a nice sneak peek at some of the upcoming Mattel product. Enjoy! 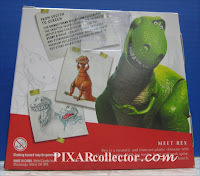 Pixar Collector: Is there any likelihood that we'll see some of the human characters, like Sid and Andy, featured in the toyline? Mattel: Great Question! This is certainly something that we have considered. One reason why we have not made these characters in the past is that we work hard to make the line as authentic and accurate as possible. This includes working very closely with Disney to ensure that our characters are built to scale. For this reason, a human character could be challenging to work into the line...the toy would be huge! However, this is not to say that we won’t consider it in the future. If we do decide to develop one of the human characters, we would probably look at the 2" sector as the characters are more stylized and the scale is less exact. 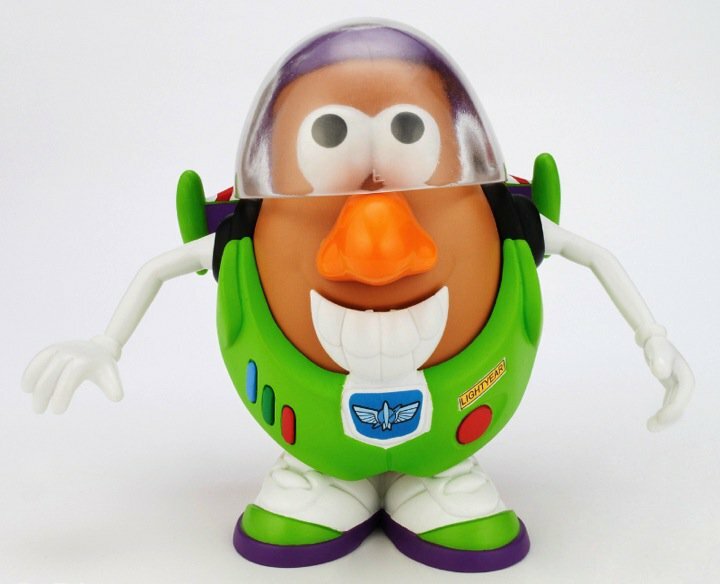 Pixar Collector: Does Mattel hold the rights to produce plush toys for Toy Story, as well? Are there any plans for this? Mattel: We hold the exclusive rights for feature plush and will be introducing some wonderful talking plush around movie launch time including some really cute small sized plush that say fun phrases when you squeeze them. Additionally, we will be making some great classic character plush as well as adding some cool new additions from Toy Story 3…so stay tuned! Pixar Collector: Can we expect Hot Wheels to delve into the Toy Story brand, as well? Mattel: Yes! We will be releasing character cars! They are amazing die cast vehicles that interpret each of the characters as a Hot Wheels car. The Toy Story team asked themselves what if Woody was a Hot Wheels? The Hot Wheels team and Hot Wheels cars do an amazing job of capturing character personalities and details while transforming them into cool car designs! We will be introducing a mix of classic Toy Story characters and new characters from Toy Story 3 all realistically brought to life in Hot Wheels form. 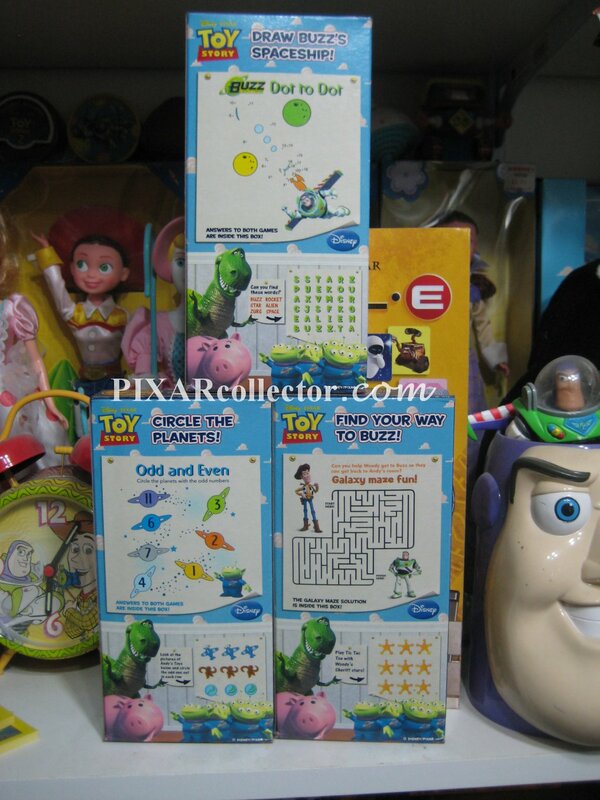 Pixar Collector: A lot of the older characters have been overlooked, especially the mutant toys from Toy Story 1. Are there any plans on making full-size figures of baby doll, rollerbob or any of the other mutant toys? If not, would this be a possibility? 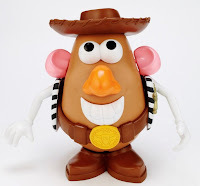 Mattel: In 2010, all of the new toys are themed to Toy Story 3. So you will see a character line that reflects the characters that are featured in the newest movie. We do feel that there is a place for classic characters, especially in our collector line. In fact, we already released Jingle Joe in the Toy Story Collector line that is currently an exclusive to Toys R Us. We are currently considering which characters to implement in our 2011 offering, and will certainly take a close look at some of the Toy Story 1 & Toy Story 2 characters that are yet to be made. 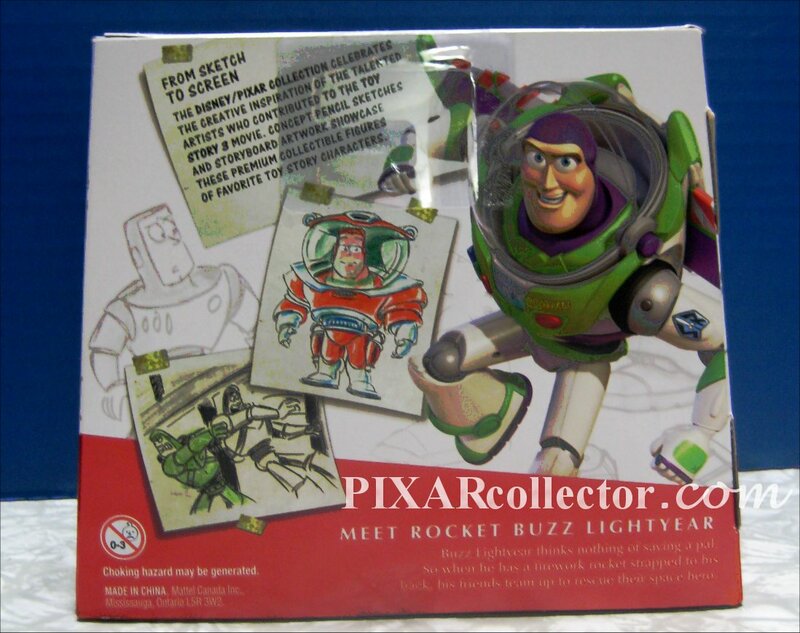 Pixar Collector: Last year we saw a 3 3/4" Buzz Lightyear exclusive at the comic con. 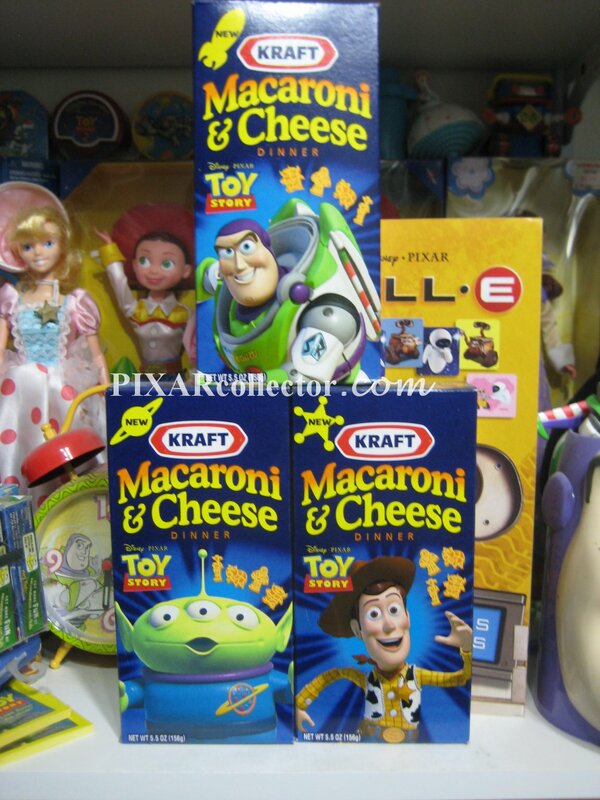 Can we expect a Toy Story themed exclusive again this year? Mattel: We do have a comic con exclusive in the works! It will focus on a new character that was introduced in the last trailer. It’s coming together really well, and we are very excited about it. I can tell you that it is in the 3 3/4" scale, just like last year. I can’t divulge any more at this time....but we will be sure to give Pixar Collector an update once all the details have been finalized! Pixar Collector: What will wave one of the Toy Story movie collectibles line feature, other than Jesse and Buzz? How about the oversized line? 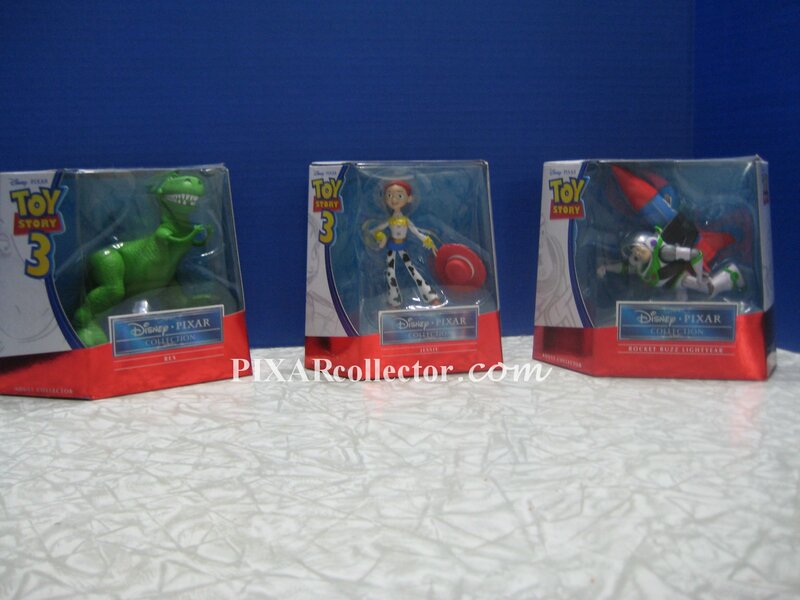 Mattel: We will also have Woody, Alien and another character that has yet to be revealed by Disney/Pixar. In the oversized arena we have Rex, Bullseye, and Buzz w/ Rocket. 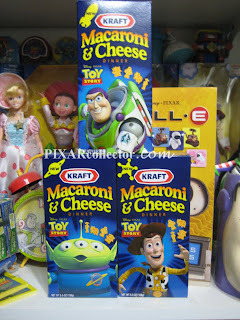 Toy Story Mac 'N Cheese! Mattel's Toy Story 3 SDCC Exclusive Toy! Mattel has released info on their Toy Story 3 San Diego Comic Con Exclusive toy for this year! 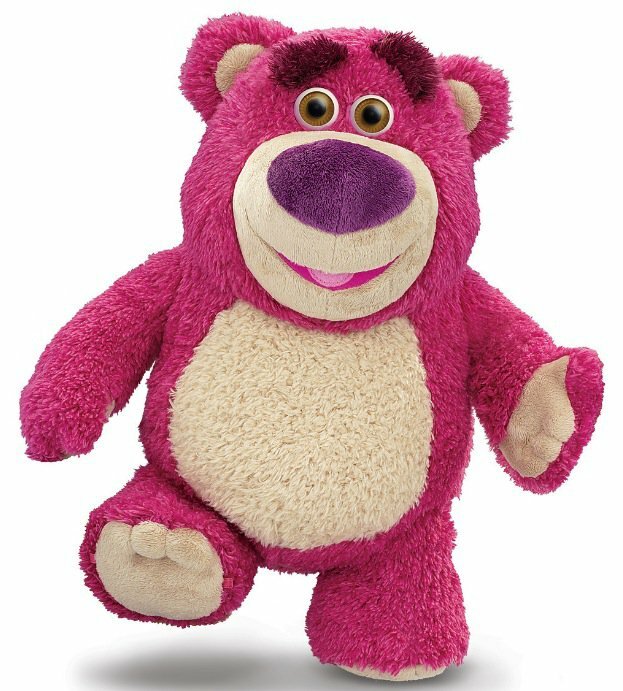 Its the character you heard about here on PixarCollector.com first, Lotso! Lotso, the ridiculously adorable bear character from the new Toy Story 3 flick, is flocked and strawberry scented. 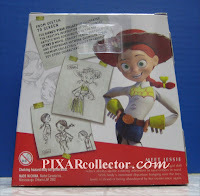 The box features concept art and Toy Story trivia. Fun Fact: Before his movie character was revealed by Disney/Pixar, Lotso made an appearance in a girl's bedroom in the trailer for the movie Up (look for Lotso by the bed as she looks out the window). Thinkway is producing a Lots-O-Huggin' Bear this Summer for Toy Story 3! He has 45 sayings! 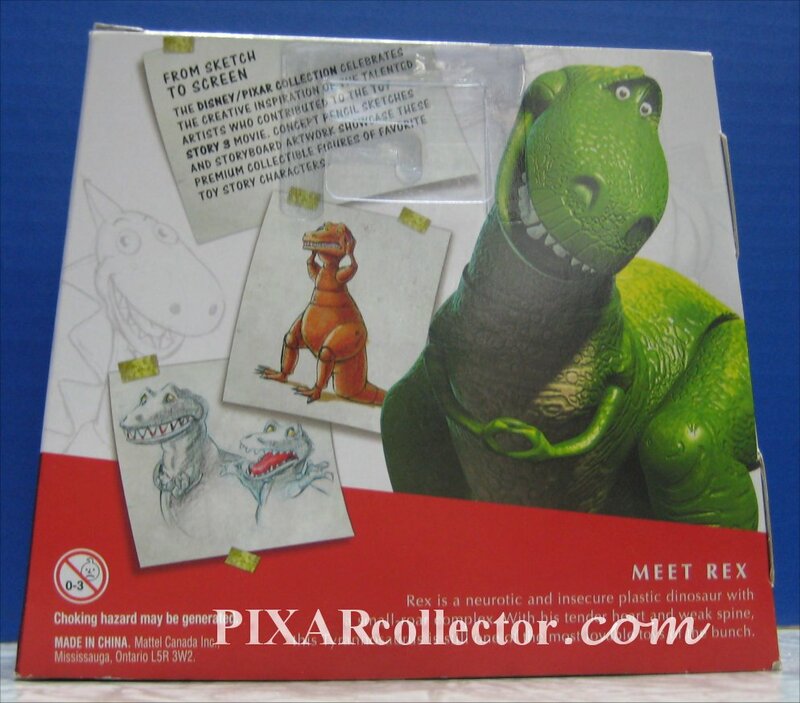 You first heard this characters name exclusively here on Pixar Collector! 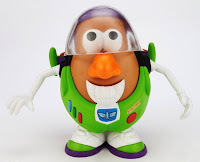 Toy Story 3 Mr. Potato Heads! Watch for a Woody and Buzz themed Mr. Potato Head this Summer from Hasbro!